Keeping your car shiny and spotless might seem like the pastime of the obsessive, or those who are still in their first giddy few months of new car ownership. Nevertheless, putting some effort into looking after your car's paint job will pay dividends down the road when the time comes to sell. Not only will a well maintained paint job play its role in car rust prevention, but it will also attract more buyers, and in turn, will be able command a higher resale value. Spending top dollar for a top-down mechanical refurbishment would count for nothing if buyers are turned away by its old and weathered appearance in the first place. And when it comes to the business of buying and selling, first impressions always count for a lot. That being said, keeping your paint in good nick doesn't have to be a chore as long as you stick to a few key car wash tips and practices. 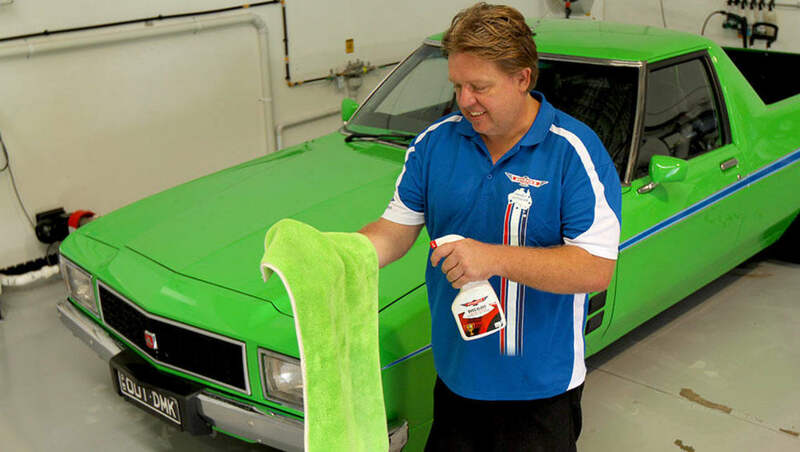 To delve further into this subject of car paint maintenance, we spoke to Dan Bowden, owner and self-professed 'Chief Car Cleaner' of all-Australian premium car care brand, Bowden's Own. Car paint preventative maintenance boils down to one essential rule of thumb, and that is to reduce its exposure to the elements as much as possible. Ultraviolet rays from the sun, and acid rain can weather and damage a car's paint layers, causing it to lose its lustre over the years. "Washing is one of the single most important steps in maintaining your car's paint." 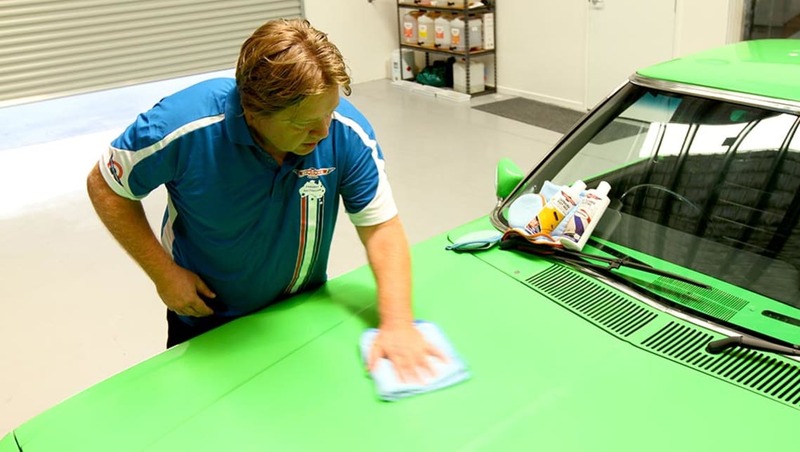 "If a car's paint is exposed to the sun, or rained upon often, it is recommended to wash and wax the car more often to protect it from the harsh conditions here in Australia," explains Bowden. "From where I'm from, in South Queensland, clear coat failure is quite a common sight due to exposure to the elements and neglect." On the other hand, if you plan on parking your car for long periods of time, it is best to place it under shade, preferably beneath a structure like a carport, garage, or an underground car park. Though trees might provide plenty of shade, they also play host to insects that will drop sticky residue, and worse of all, serve as a perch for birds who will inevitably leave their droppings on your pride and joy. Not only are bird droppings unsightly and unhygienic, it is also highly acidic. Under intense sunlight, which can soften the paint's clear coat, the droppings' acidic composition can dissolve the paint, permanently damaging it if left unattended for too long. Bowden says that washing is one of the single most important steps in maintaining your car's paint, as it keeps dirt, droppings, or foreign residue from settling down and bonding to the paint. "Don't leave dirt and grime on the paint surface for too long as it will start to bond with the paint over time," Bowden advises. "This will leave the paint finish with a rough feeling, which will require plenty of work with a clay bar (a blu-tac like material that can safely remove stubborn debris and contaminants, when used with a lubricant, that can't be removed by washing and polishing) to amend." Proper car paint maintenance requires more than just soap and water. According to Bowden keeping your paint in top shape comes down to a combination of technique, tools, and the right product. This drive to use the best car wash products has been the guiding principle in the company's development of products fit for use on the family's priceless collection of significant Australian race cars, with the aim of long-term protection. Do automatic car washes damage paint? Can a Car Wash Damage Paint? Are automatic car washes bad? You might be tempted to opt for the convenience of an automated machine wash, though Bowden strongly advises against it. He says concerns regarding whether automatic car washes are bad and damage paint are valid. Brushes used in such machines can be too rough and harsh on the paint surface. Although the contact-less water jet machines are easier on the paint surface in this respect, all these facilities use aggressive cleaning chemicals with 'grey water', which contains a lot of salt that will strip away the paint's protective wax and sealants. "If you really want to take care of your car's paint, machine washes are just a big 'No'." Put these elements together and automatic car washes can leave behind typical car wash damage to the paint, in the form of fine marks or scratches. A fair amount of work with polish would be needed to machine polish such car wash scratches away. "The abrasive factor from automatic car washes is evident. I can spot a car that has been through one easily," Bowden says. "If you really want to take care of your car's paint, machine washes are just a big 'No'." Instead, Bowden recommends giving your car a traditional hand wash, that when done correctly, is less likely to damage the paint surface. What should you do if a car wash had scratched my car? Bowden says there really isn't much the general consumer can do, besides taking the car to a pro-detailer to have it looked upon to 'correct' the paint and remove car wash scratches, and taking careful measures to ensure that it doesn't happen again. Machine washing isn't the only common car washing practice Bowden dispels. Another is the use of cheap convenience store sponges. "A sponge can easily entomb and build up dirt in its pores. These dirt build ups can leave behind swirl marks and tiny scratches on the paint surface as it is being carried along," Bowden points out. "Microfibre is the material you want to use on your car's paint as it picks up the dirt, but doesn't trap it and can be easily washed off." "Dishwashing detergent contains a higher concentration of salt and strong chemicals that are harmful to the paint, rubbers, and plastic trim in the long term." As for washing detergent Bowden says the best car wash products are those with formulations that are pH balanced to be gentle on the paint, don't contain strong chemicals, with a layer of lubrication and good soapsuds to keep grime suspended and away from scratching the paint. For him, a good quality detergent serves a dual purpose in reducing the damage from the elements and adding a layer of protection to the paint surface. However, Bowden also cautions owners that they shouldn't resort to using other forms of detergent when it comes to washing their cars. "Dishwashing detergent contains a higher concentration of salt and strong chemicals that are harmful to the paint, rubbers, and plastic trim in the long term," he adds. "Though paint technology has progressed in recent times, a car's paint is still quite delicate, and can be marked easily." When asked how often should you wash your car, and can you wash your car too much with any risk of damaging it? Bowden assures that as long as the proper preparations are taken beforehand and the correct steps are followed, there really shouldn't be any risk of damaging the paint from multiple washes. Besides getting a proper microfibre wash pad or mitt, and a good quality car wash detergent, Bowden recommends having two buckets ready, one with fresh 'soft' water for rinsing, and another for the detergent mix. If your buckets permit, it is good to fit them with a grit guard to safely trap any dirt particles and grime that gets washed off the car, and prevents it from mixing with the washing liquids and being splashed back on the car. Every wash should start with a thorough rinse, although for more fastidious enthusiasts, Bowden says they can start off a wash with a pre-washing using a pH balanced 'snow foam' formulation, such as their Snow Job. The snow foam is sprayed over the car and left to sit for three to four minutes to breakdown any grime that can scratch the paint surface during the wash, before being rinsed off. 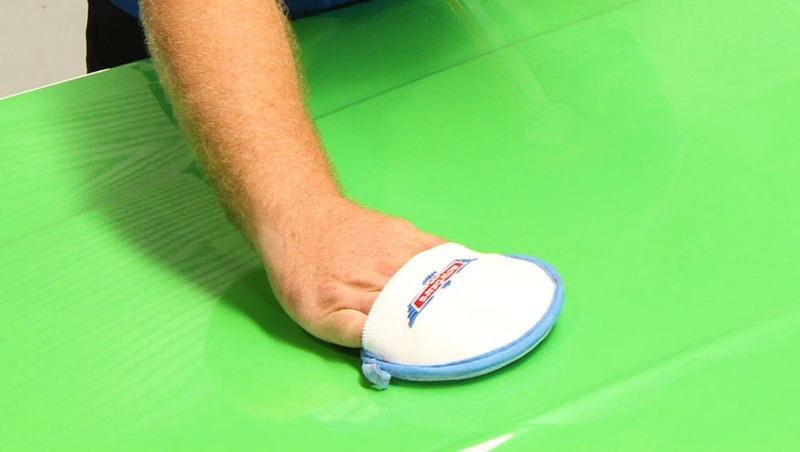 With any loose dirt and soil washed off the body, the car wash detergent can now be applied with a microfibre wash mitt or pad starting from top to bottom (cleanest to dirtiest parts of the car) to ensure any dirt left behind doesn't get moved onto the cleaner parts of the car during the washing process. "Though chamois is effective at soaking up water, scratches can occur when it gets dragged over sections of grime that were missed in the process of washing." "Avoid washing the car with circular motions as this may leave swirl marks if the dirt isn't completely rinsed off. Instead run your wash mitt or towel along the body in a lateral direction to wipe away the remaining dirt," says Bowden. As soon as the detergent is applied wholly to any body panel, it must be rinsed off to ensure that any potential residue from the car washing agent doesn't stick to the paint surface. After which, the body must dried, preferably with soft and dry microfibre towels to avoid any watermarks from forming. "Though chamois is effective at soaking up water, I have seen micro scratches occur when it gets dragged over sections of grime that were missed in the process of washing," says Bowden. "Because of that, we have put our focus on developing a large, plush microfibre drying towel that is safer and faster to use than the traditional chamois. On top of that these towels work better with a good water-based detailing spray in them as a drying aid." How do you get that smooth paint finish? There are instances where a good wash wouldn't be able to remove stubborn embedded dirt and residue. Such cases will warrant the use of a clay bar. With the mouldable property similar to plasticine, or blu-tac, clay bars are ideal in giving your paint that clean and smooth consistency without having to resort to a machine polish. 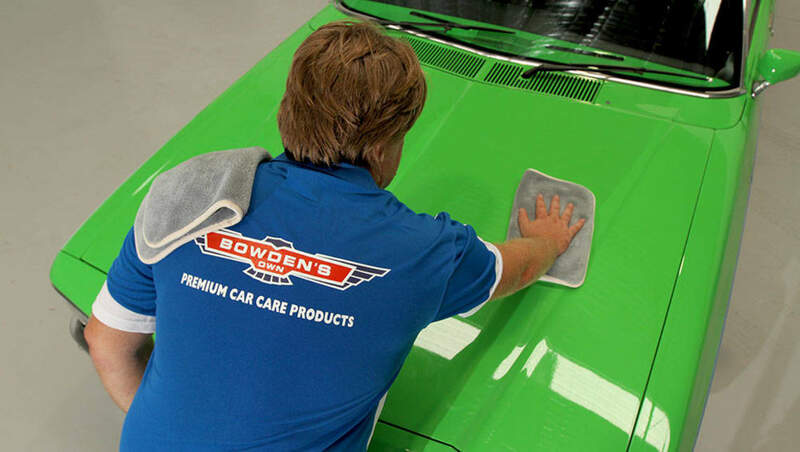 Working in tandem with a lubricating detailing spray to help loosen the dirt, for Bowden's Own, it would be their Boss Gloss or Fully Slick sprays, it only takes a light rub on the paint surface for the clay bar to pick up any dirt or residue. However due to its nature, a clay bar cannot be cleaned and instead needs to be kneaded every now and then so a fresh layer can be used on the paint without leaving scratches. How to remove scratches from the car? Spotting a scratch on the car isn't the end of the road. 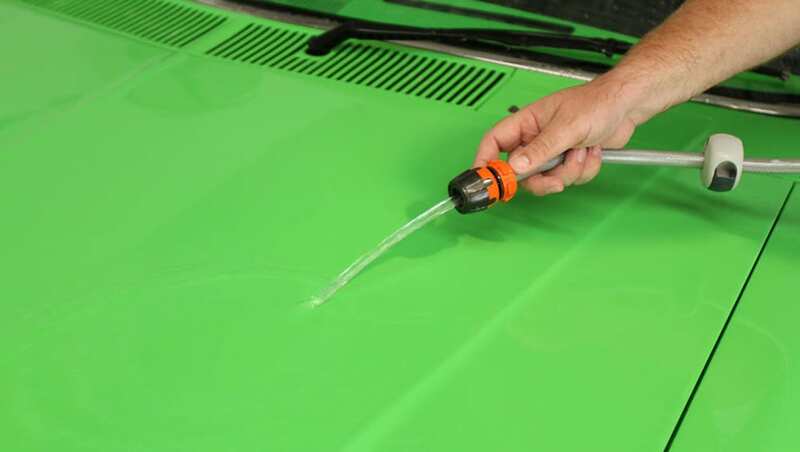 "Depending on the severity of the scratch, if it isn't too wide or too deep, you can remove, or make that light scratch or car park ding look less obvious, with a simple hand polish or scratch remover," says Bowden. "For most cases the scratches are best polished out with a machine, something any good professional detailer will be able to do for you. 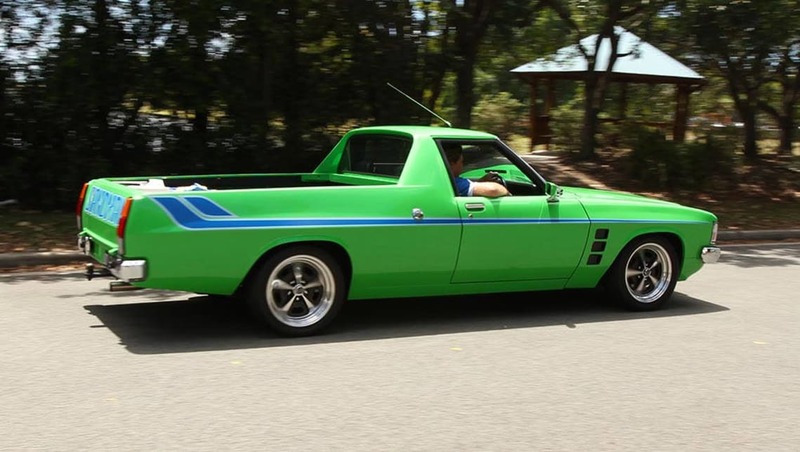 But when a scratch goes through the base coat it is all over and you have to respray it." How to polish a car? Is it an advisable route to take? Popular opinion has it that any scratches on the paint surface can be easily fixed by hand-polishing. 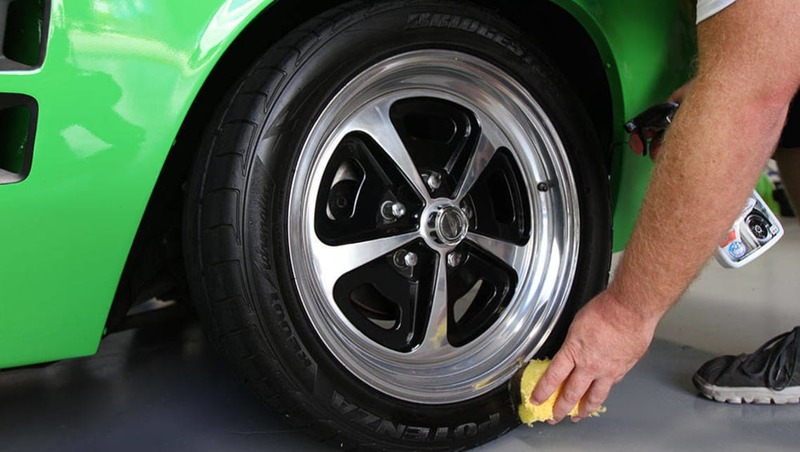 Though contrary to that commonly held belief, Bowden says hand polishing a modern clear-coated car with a polishing compound is risky, as it can easily mar the surface with fine scratches. "Such compounds have abrasive qualities, and when applied by hand, it won't work as effectively as they do when applied with a machine, as hand polishing won't generate enough friction to break down the compound's abrasives, thus leaving micro scratches in the paint," he explains. "It is a good idea to consult a good pro-detailer, who is able to advise you on the appropriate steps to restore your paint." This is why Bowden believes that ideally, polishing work should be carried out with the use of a good dual action or orbital buffer machine, though this route requires acquiring proper equipment and experience. Considering the cost of buying the best car polish product and equipment, and weighing the risk of damaging your own paint in the midst of the learning process of how to properly machine polish your own car - along with the number of times you will carry out such work on your own car - Bowden advises that it can be a lot more cost-effective to have a professional detailer do it for you. "It is a good idea to consult a good pro-detailer, who is able to advise you on the appropriate steps to restore your paint," Bowden advises. This also applies to swirl marks, as Bowden explains that while some products use fillers in their formulas -usually incorrectly called polishing resins but better known as glazes - to mask and hide a majority of swirl marks, it isn't a permanent fix. "These glazes will wash out in a short time and the marks will reappear," says Bowden. "Again the only way to properly remove these super fine scratches is to have them machine polished out. Preferably by a professional detailer. From there it is important to use a good combination of products and wash techniques so they never come back." 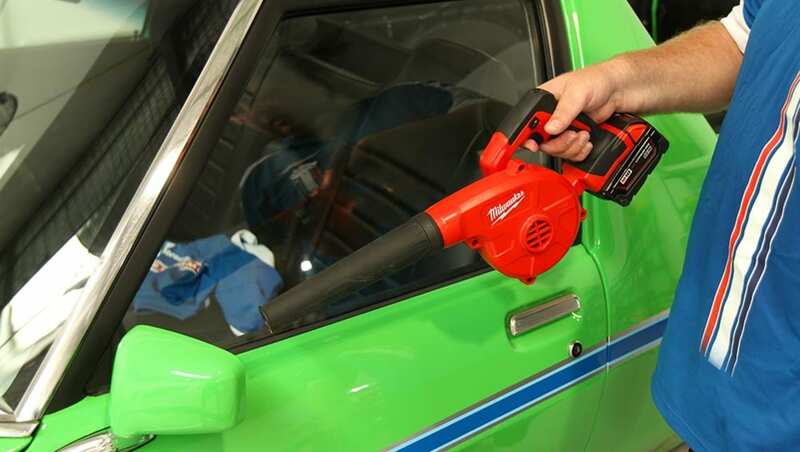 For those who want to clean and restore their car's paint from that odd blemish or mild oxidisation, without having to resort to sending the car to a professional, Bowden prefers using a non-abrasive car care system, which is why his team developed the Paint Cleanse and Restore product. "Car care is all about good preparation." Being a safe non-abrasive chemical cleaner, this paint cleansing product won't create swirl marks or leave micro scratches on the paint, and neither will it remove a layer of clear coat every time you use it either. Instead it will deep clean the paint and remove marks and other defects in the paint, as well as remove contaminants that the clay bar isn't able to reach. Not only will the paint cleansing leave behind a lovely shine, it also prepares the surface for carnauba wax and other sealants to adhere to. "Car care is all about good preparation, and the clay bar and paint cleanser are the best two products we have found to use by hand," explains Bowden. Once the paint surface has been thoroughly cleaned and prepared, Bowden recommends giving it a coating with a quality carnauba wax. These sort of waxes are one of the best car wax around as it provide a more naturally based paint protection that is ideal in the harsh Australian environment, as well as adding a wonderful glowing shine. In order to work the wax into the paint, the car's surface must be kept cool and out of the sun during the whole process. Once formed, the final touch to get that shine involves buffing the paint. To buff the paint, use a clean and dry microfibre cloth to wipe away the light haze residue. Again, this is done in circular motions with the microfibre cloth till the paint appears clean and shiny. How long does wax last? According to Bowden the durability of the wax layers is highly dependent on its ingredients and environment it is dealing with. "Some of the more durable and long-lasting waxes have oil based silicone, which do work well, expect that they can bond to the paint. This is a reason why many panel shops don't traditionally like these type of products, as it is difficult to remove before they are able to perform any panel repairs," he explains. "Our waxes were developed with this in mind, and made to be safe for continued and repeated long-term use." "As the adage goes, 'nothing lasts forever', and after a while the wax will wear away and dirt will get stuck to the body again." To cap off the whole paint cleaning and maintenance routine, Bowden suggests adding a layer of sealant to maintain the wax's protective layer and glow, while helping in keeping everyday road dirt from sticking onto the clean paint surface. As the adage goes, 'nothing lasts forever', and after a while the wax will wear away and dirt will get stuck to the body again. By Bowden's estimates, depending on the car's usage, cars that are driven daily should at least, be given a wash weekly with a fresh coat of wax applied every quarter, and topped off with a spray sealant each month after washing. Though in the summer months such steps should be taken more frequently. What colours are easy to maintain? Different paint types however also require a little extra attention and approach. Being a fan of black coloured cars, Bowden admits that they are hard to look after as it requires a bit more care as marks will easily show. By comparison, white is easier to maintain, even down to it not requiring carnauba wax, as it doesn't show any depth, to just shine. Instead owners can skip straight to applying a protective sealant as that will create a stunning shine directly after paint cleansing. Metallic and more vibrant colours on the other hand respond well to carnauba waxes, with silver and yellow being the best car paint colours by being the easiest paint, by his experience, to maintain as it hides its discretions well. "Get the colour you love, don't worry about the finer details as there's a wide range of products to cater to people who love their cars in all sorts of colours." As for matte paint finishes, Bowden cautions against using products with gloss enhancing agents as it can negatively affect the matte finish. "Matte paints are a real challenge to maintain as scratches on such paintjobs cannot be polished out, often needing resprays to fix," he adds. At the end of the day, Bowden says that these small matters shouldn't influence your buying choice. "Get the colour you love, don't worry about the finer details as we have developed a wide range of products to cater to people who love their cars and works well for all sorts of colours," he assures. Is car paint protection beneficial? On the subject of protective measures such as a car bra, Bowden has his reservations. "If left too long on the bonnet car bras can accumulate dirt and dust, which can cause minor scratches around the edges or underneath as it moves about," Bowden elaborates. Clear vinyl wraps can be a better option for protecting front panels, especially if you plan on doing big country miles. On the other hand, Bowden likes many of the quality paint protection coatings that are offered by numerous professional detailers, and a number of car dealerships as a cost option. "Paint protect sealants can do a very good job at protecting your paint and can be a great option for those who don't have the time to regularly care for their car's paint. That being said, none of the coatings are consumer-friendly to apply correctly, as it requires a huge amount of specialist preparation prior to its application, so this is something that is best left to the professionals," Bowden adds. "Though very durable and resistant, coatings aren't as permanent as many manufacturers will state and will still requires regular maintenance to keep them at their best. As such it is still beneficial to wash it often and even give it a spruce up with a suitable spray-on sealant." "A regular maintenance schedule with traditional waxes and sealants is a better option in my opinion, something that any car enthusiast loves doing regardless." Bowden also explains that while he sees the benefits in these paint protection coatings for modern, daily driven cars that will be turned over in five years time, he personally would never suggest using them on classic or investment cars,especially if such cars still has its original paint. "A regular maintenance schedule with traditional waxes and sealants is a better option in my opinion, something that any car enthusiast loves doing regardless," he muses. For first timers, the topic of car paint maintenance may seem daunting, but it is rewarding in both the ownership experience of giving your car that showroom shine, as well as when the time comes to part ways with it. A point, which is summarised in Bowden's parting thoughts, "Take care of your paint, and it will pay you back in the long run."